If you are new to our worship format let it serve as a witness of our response to God who reaches out to us. In time, we pray that you, too, will celebrate the rich​ spiritual rewards of our heritage in Worship. You may find our " Welcome Guest " brochure helpful. THE HOLY EUCHARIST is normally celebrated on the 1st, 3rd and 5th Sundays of the month, Christmas Day, Ash Wednesday, Holy (Maundy) Thursday, and Easter. 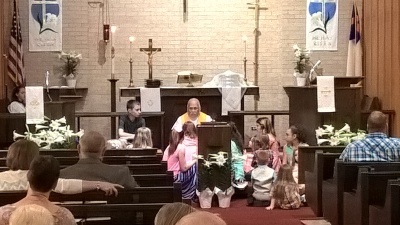 COMMUNICANTS are baptized Christians who have been instructed in and publicly confess the Evangelical-Lutheran Faith. If you are not a member and desire to commune at Bethlehem, please speak with the Pastor before approaching the Altar. 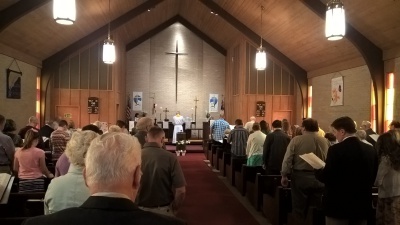 Faithful Lutherans subscribe uncondi-tionally to the Book of Concord as a correct exhibition of the doctrine of the Evangelical Lutheran Church. Not only do these confessions state that "private absolution should be retained and not allowed to fall into disuse" (AC XI) but also that "Absolution may properly be called a sacrament of penitence" (Ap XII.41), The Apology of the Augsburg Confession also clearly states "The genuine sacraments, therefore, are Baptism, the Lord’s Supper, and absolution (which is the sacrament of penitence)" (XIII.4). Therefore, individual Confession and Absolution is offered at Bethlehem. Here individuals can privately and confidentially confess to the pastor both sins in general and any sins that are particularly troublesome. Our pastor is willing and able to hear such private confession and to comfort a sinner with individual absolution. You are encouraged to use the Beichtspiegel (download from link in middle column) in preparation for Confession. 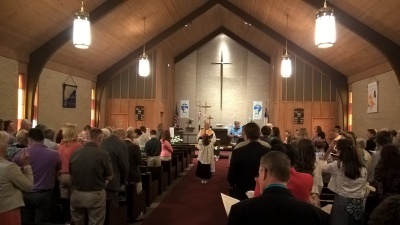 What do Lutherans believe ? We extend a most joyous welcome to all who worship with us. We are confident the Lord will reveal Himself to you through the Divine Services so that you may know the joy of His presence in your life. If you have any questions about the Christian faith or about Lutheran worship and practice, please feel free to ask the Pastor, one of our Elders, or any of our members. God bless you in Christ Jesus! PATHS TO MEMBERSHIP . . .
BAPTISM: We extend to all – infants, children, youth and adults – the Sacrament of Baptism in the name of the Triune God. LETTER OF TRANSFER: If you are coming to us from another Lutheran Church, we invite you to ask for a Transfer. Our Pastor would also like the opportunity to visit with you and will write and obtain your transfer for you if/when you desire. 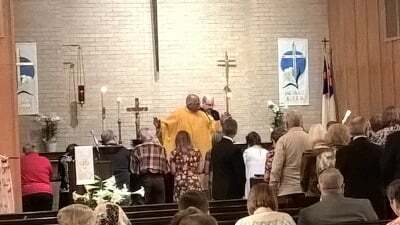 LUTHERAN CONFIRMATION: If you are coming to us from another denomination or from no church background, we invite you to participate in the Adult Catechism Class. Upon completion of this class, you may choose Baptism and/or the Rite of Confirmation to become a communicant member. PASTORAL COUNSELING based on the Holy Scriptures is avail- able from the Pastor. An appointment is necessary. THE SACRAMENT OF HOLY BAPTISM is for infants and adults, and may be arranged by contacting the Pastor for an appointment. HOLY MARRIAGE is a life-long union of one man and one woman. We reject any other “union” called “marriage” as immoral and contrary to God’s will. Couples desiring Holy Marriage should contact the Pastor before finalizing the wedding date. Biblical instruction in Holy Marriage is required. Couples cohabiting outside of marriage will be required to show repentance by making separate living arrangements until the wedding. Cohabiting communicant members of Bethlehem will be suspended from the Lord's Supper until such repentance is apparent. All marriages are conducted by the Pastor according to Bethlehem’s usual order. Since the Pastor presides at Worship services in the House of God, and doesn’t “do” weddings per se, weddings in locations other than Bethlehem’s Sanctuary are atypical. Contact the Parish Office for more information. SICK & HOMEBOUND are visited by the Pastor. Please contact the Parish Office if you know of any parishioner in need of pastoral visitation. Come to Bethlehem and See!! Steadfast in the Word, Bethlehem Lutheran Church shares Christ and serves people with friendship in His love in all of God’s world.